Nowadays, iPad has become an important part of many children’s lives as it can do a lot of different things like helping kids with their homework, watching videos or playing games, etc. And as we all know, kids are prone to be obsessed with games. If that’s what’s happening to your kid, here’s what you can do to improve the situation. 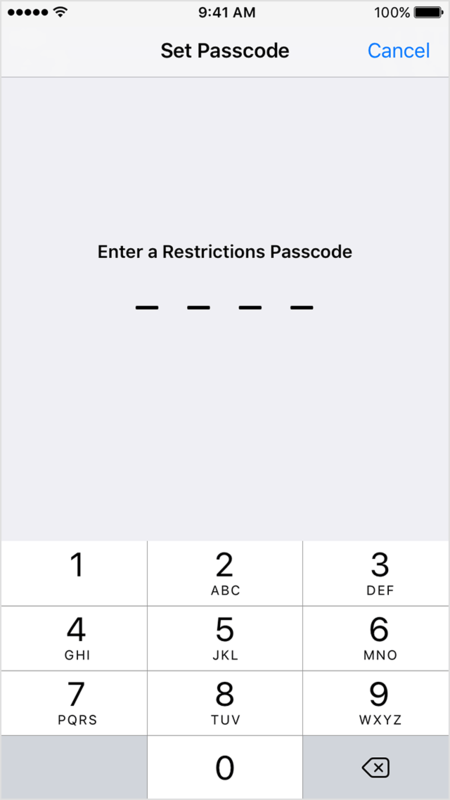 There’s a feature in all iOS devices called Restrictions, a.k.a. 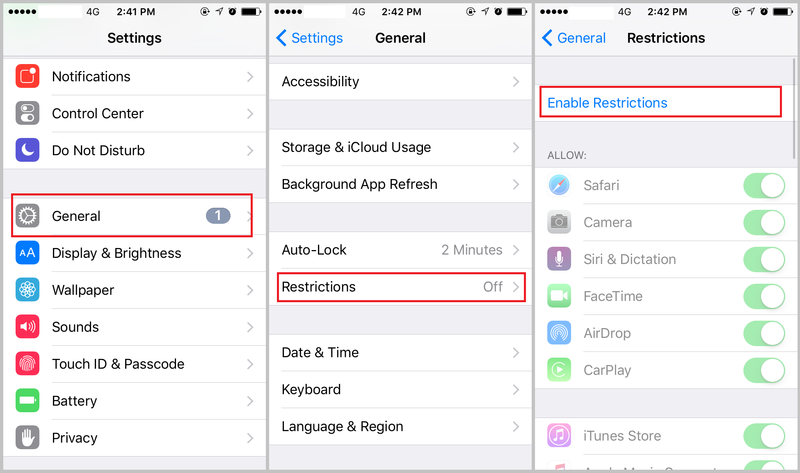 Parental Controls that you can take advantage of to limit your kids’ access to the games or other features in iPad. As long as you know how to setup patental controls on iPad, the things your kids can do with the iPad could be limited to whatever you decide. Here’s how to setup parental controls on iPad. Step 1. On your iPhone, tap Settings>General>Restrictions, and then tap Enable Restrictions. Step 3. 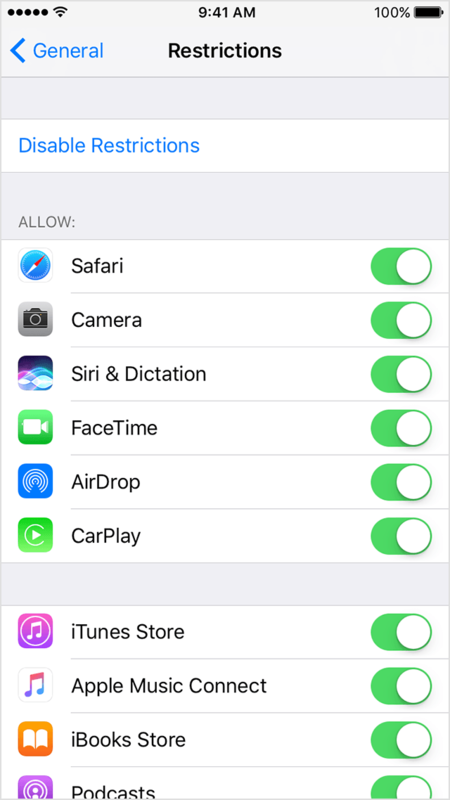 Tap on the apps or features listed below to turn them off in your iPad and your kids wouldn’t be able to access those apps or features. You might find the apps you turned off missing on the interface, to make them appear on the interface again, go back to Restrictions and enable them. Limit users’ acesss to a single app temporarily. Disable certain areas of the screen. Here’s how to use parental controls on iPad by setting up Guided Access. Step 1. To activate Guided Access, Tap Settings>General>Accessibility>Guided Access. Tap on Guided Access to activate it. Step 2. Now that you’ve activated Guided Access, you can open an app and triple-click the home button to use Guided Access. Tap Options in the bottom left for more options. 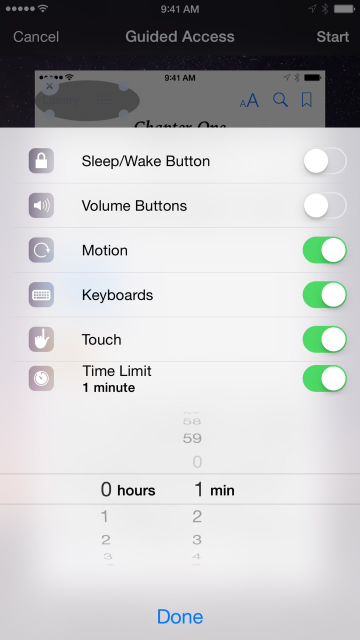 You can disable Sleep/Wake button, Volume buttons, Motion, Keyboards and Touch and set Time Limit. Disable Sleep/Wake button and users wouldn’t be able to use Sleep/Wake button after activating Guided Access. Disable Volume Buttons and users wouldn’t be able to use Volume Buttons after activating Guided Access. Disable Motion to prevent iPad from responding to any other motions. Disable Keyboards and users wouldn’t be able to use keyboards after activating Guided Access. Disable Touch and iPad wouldn’t respond to any touch on the screen. Activate Time Limit and when time’s up, users wouldn’t be able to use the iPad. Step 3. When you are done setting up, tap Done and then tap Start to start using Guided Access. You should be prompted to enter a passcode which will be used for exiting Guided Access. Above are the instructions for how to setup parental controls on iPad. As long as you can teach your kids to use iPad in the right way, iPad is still pretty helpful for kids and you wouldn’t need to use parental control. As I mentioned above, if you forget your Restrictions passcode, you’ll have to erase your device and set it up as new. Restore your device from an old backup wouldn’t remove the Restrictions passcode. So the right thing to do before you set up Restrictions is to back up your iPad first in case you forget the passcode after setting up Restrictions. After knowing how to setup parental controls on iPad, the next thing you should know about is how to back up your iPad. To back up iPad, I would recommend to you Leawo iOS Data Recovery. It’s a powerful data recovery program capable of recovering 14 types of data. It can also be used to back up your iOS device. With it you can easily back up important data on your iPad like Photos, notes, calendar and safari bookmarks, etc. 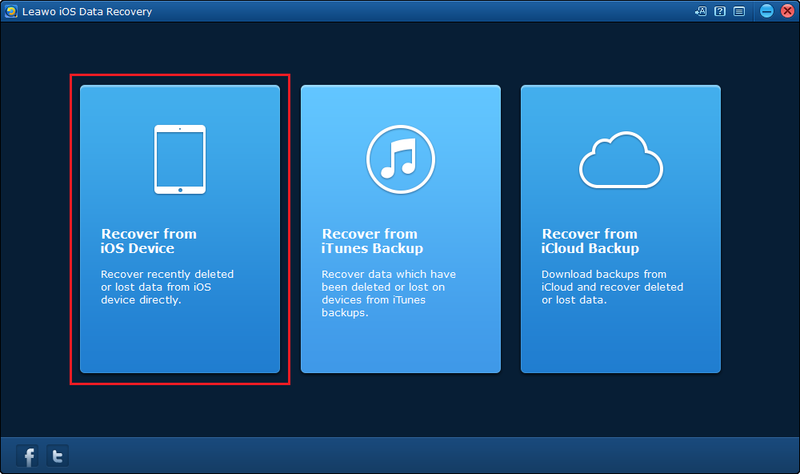 Here’s how to back up your iPad using Leawo iOS Data Recovery. Step 1. 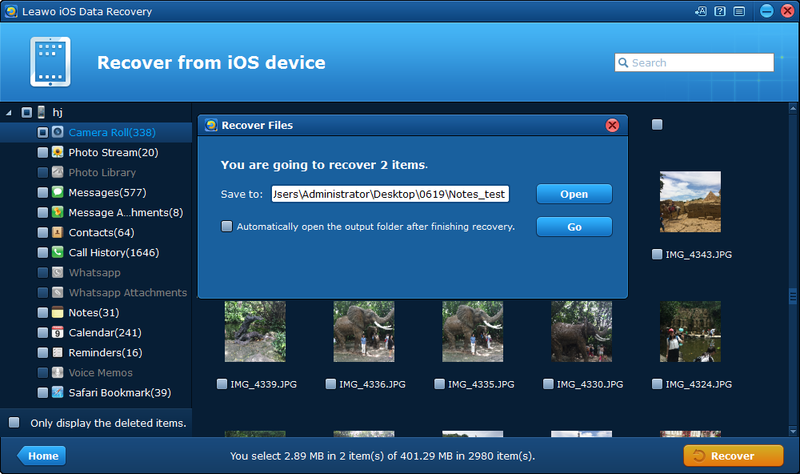 Open Leawo iOS Data Recovery, and then select Recover from iOS Device. Step 2. 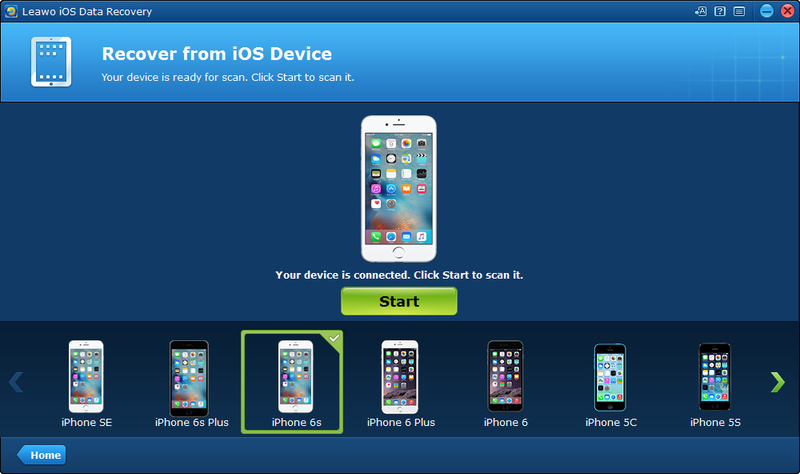 On the following device list, connect your iPad to computer with a USB cable and the program would detect your device. Click Start button to allow the program to start scanning your iPad. Step 3. 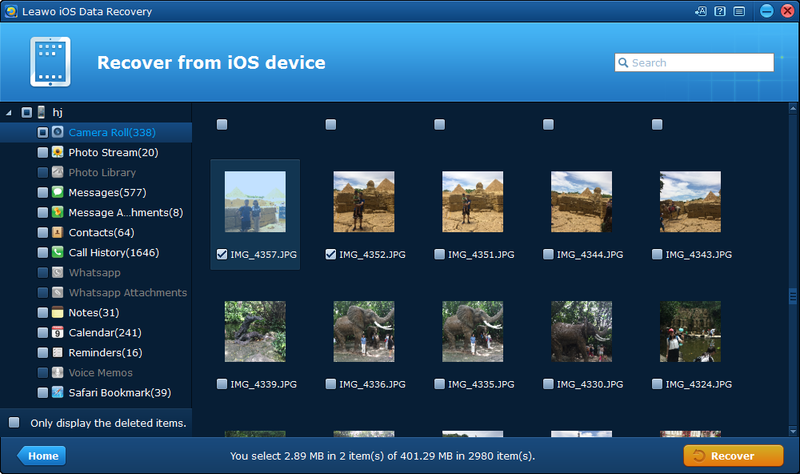 When the scannign process completes, you should see different types of data in your iPad listed in the left side of the interface, click on the type of data you want to back up and select specific files that you want to back up. When you are done selecting, click Recover in the bottom right. Step 4. 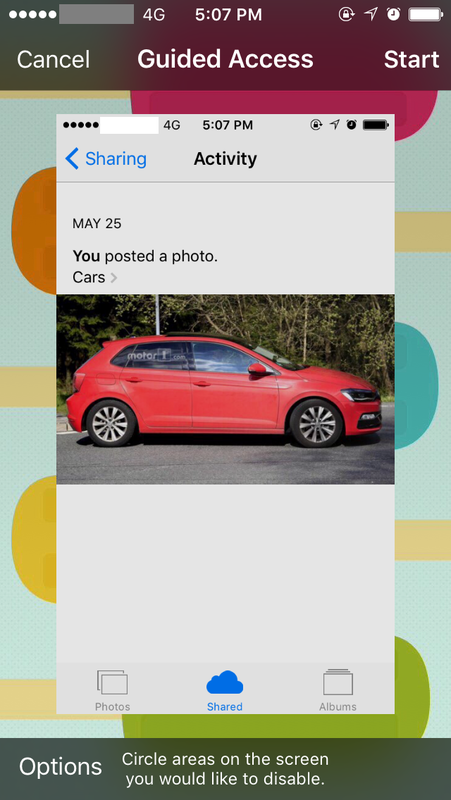 A popup should appear on the interface. Click on Open to set the directory for the files you’ve chosen to back up and click Go to start backing up the files. If you are currently bothered by your kids spending way too much time on their iPad, learn how to setup parental controls on iPad and give it a try.